I offer 20 minute initial consultations to point you in the right direction whether you are local or far. Being Elemental's founder Jen practices Chinese Medicine Acupuncture and Ayurveda in Portland, OR. What I hear most commonly is, “I have always wanted to try Acupuncture.” Now you can. With ACU POP UP, we bring Acupuncture to you. Learn more to find locations near you. 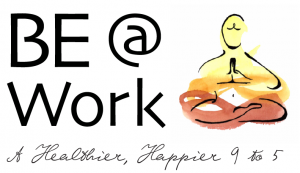 BE@Work takes Workplace Wellness to a whole new level for our modern world. We offer workplace wellness packages and concierge programs to support your employees. I am a coach at FloLiving.com, a Virtual Womens Hormone Health Center. I have worked with one to one clients on Pre-Conception, Infertility, Adrenal Fatigue, Endometriosis. Ammenhorea, Peri-Menopause, and additional women’s health concerns. I incorporate the philosophy of Functional Medicine with Chinese Medicine and Ayurveda. Functional Medicine is about patient care rather than disease care. To get started, book at Jessica Schultz Pilates. Join Being Elemental for another Dine by Dosha event. Dine by Dosha events are conducted seasonally in the Portland, OR area with top chefs and savory food. Bon appetit!